Hey there! Looking forward to spending some quality time with your family and loved ones? 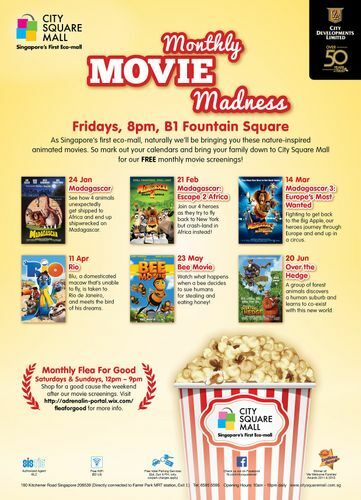 Head down to City Square Mall as Singapore’s first eco-mall brings to you a series of nature-inspired animated movies screening for FREE till June! Don’t miss out on Rio on the 11th April at 8pm. The screening would take place at B1, Fountain Square.